There’s a movement happening, but it’s a movement that has been ongoing for decades, now. For many Democrats, though, it seems very new to them–and something to avoid. While immigration/deportation reform activists have been at it for over 30 years (the recent battles), Democrats have always shown a little fear of the movement–fearful of losing the white vote. But even the weakest positions on the issue haven’t been winners for Democrats. Reagan’s amnesty increased enforcement. Bill Clinton’s immigration reform of ’96 was a joke and gave a big shove to what is today’s deportation and detention boondoggle. Given steroids by Bush and made worse by Obama, it is no surprise that a white supremacist (Trump) is now doing whatever he wants today. But it must be said: It didn’t start with Trump. And yes, Democrats did it, too. And it must be stopped. 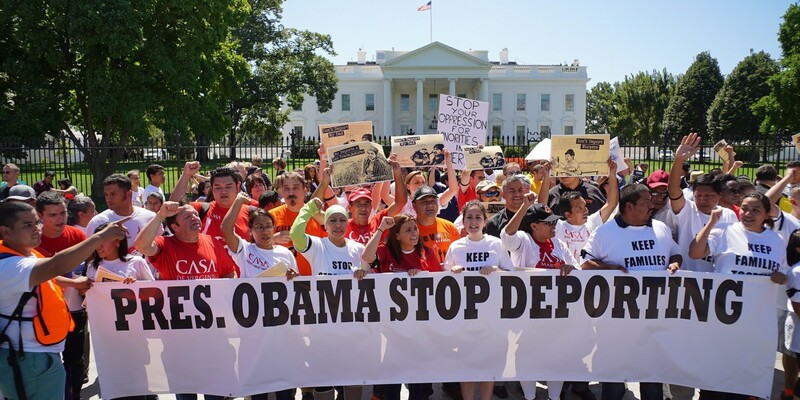 Immigration advocates were very critical of Obama. But people didn’t believe us. He was the “hope and change” guy. How could he be so cruel? But (former Vice President Joe) Biden was sent to Central America, falsely telling the families that their children will not get asylum. Obama has an interview with (ABC News anchor) George Stephanopoulos, saying to people: Don’t send your children. We will send them back. So many of the things are happening have been happening for a long time. And again, they were wrong then and they’re wrong now. But the stupidity of one administration cannot justify the malice of another. Now, because of the heightened level of cruelty, it’s visible. This interview on CNN gives a better view of what ICE really is. The creation of ICE (Immigration and Customs Enforcement) back in 2003 was in response to 9/11, fear of immigrants, and especially fear of Muslims. In other words, its reactionary creation was based on hate and bigotry. Given a two-prong job, enforcement/removal and crime-busting, ICE has become a gestapo of sorts, utilizing illegal tactics, racial profiling, and hate- and fear-mongering from the current president to destroy families, steal children, affect local economies, and create an air of fear within targeted communities. All the while making profits for the border boondoggle. In fact, it was created to act in these ways. People must be reminded that ICE and Customs and Border Protection (Border Patrol) are two different agencies. CPB enforces the border. ICE does not. In fact, if you read the interview, it’s pretty obvious that ICE interferes with the others’ duties. Given reports of abuse of immigrants and children, both sides of this coin must be investigated and reformed–or even abolished. This said, there’s been a bit of a freak-out among Democrats who fear Republicans will now start saying that Democrats are for open borders as activists and candidates call for ICE to be abolished or reformed. It’s gotten so bad, there’s even been some Whitesplaining and Demsplaining toward the movement, which doesn’t help one earn votes. It’s also insulting, so, stop it. Our own Texas US Senate candidate Beto O’Rourke is part of the chorus for reform, as is 2020 prospect Kirsten Gillibrand. Others, have called to abolish ICE, such as future Congresswoman Alexandria Ocasio and others running for Congress across the country. One way or another, candidates are listening and going beyond the usual weak campaign positions. The big question: When haven’t Republicans said Democrats are for open borders? President Obama deported 3 million, warehoused hundreds of thousands more and Republicans said he was for open borders when he signed a doomed executive order (DACA) that didn’t do anything but protect a few from deportation. Hillary Clinton wanted expedited removal of unaccompanied children in 2014, voted for the original “border fence” and Republicans said she was for open borders. Texas gubernatorial candidate Lupe Valdez ran 287(g) during the Obama Era and Republicans attacked her as being for open borders when she called out Greg Abbott’s SB4 racial profiling law. The Republican chorus is a broken record on Democrats who have supported the weakest of immigration reforms–open borders, open borders, open borders. 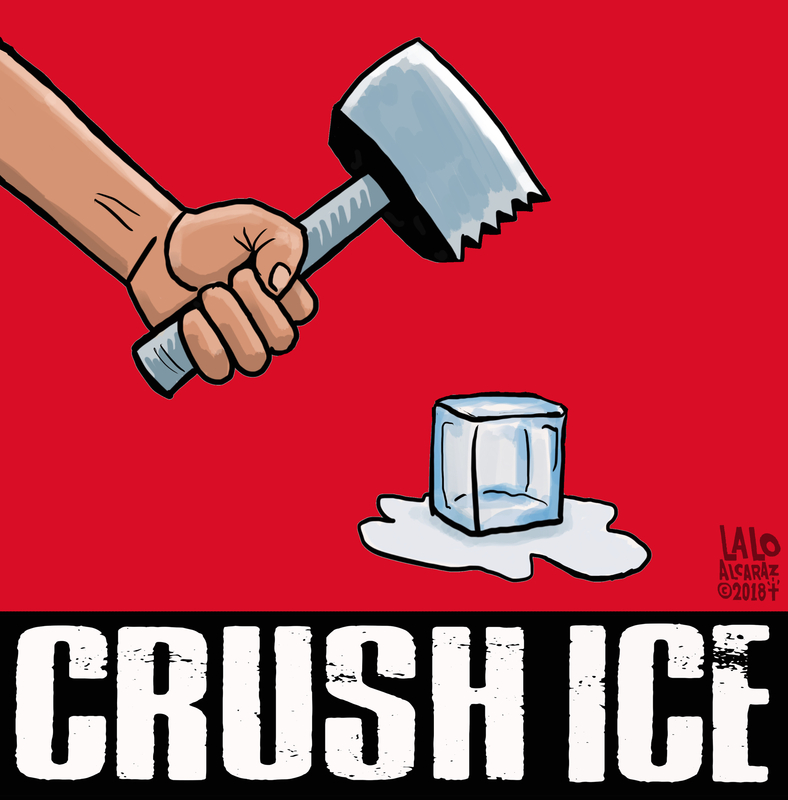 And still, the liberals–the Democrats– freak-out because they think they’ll get attacked for calling to #AbolishICE? Take a chill pill, people. Surely, we’ve learned to fight back, rather than to cower in weak, losing positions. If there is ever a time to unite with a movement that wants to stamp out a corrupt and broken immigration system it is now. Whether it’s to #AbolishICE or to reform it, or even a call to simply stop warehousing children in prisons, the Republican attack will remain the same. So, stop the freak-out and step up to the fight. You never know how many non-voters whose trust you’ve lost may step up–to the voting booth. Wednesday, June 16, 2015—In response to new details released on Friday about DHS’s “Priority Enforcement Program” (PEP), prominent civil and immigrants’ rights organizations today delivered a letter to the Department of Homeland Security (DHS) calling for an end to detention (“detainer”) and notification requests. The letter asserts that PEP—created as a replacement for the controversial Secure Communities program— suffers from many of the same legal problems that contributed to the agency’s decision to end the Secure Communities. As a result, local law enforcement agencies that choose to participate may face liability. In the letter, the organizations call on DHS to discontinue the use of “immigration detainers,” which ask local law enforcement agencies to detain individuals in their custody after their authority to hold them expires. After a series of federal court decisions last year holding that immigration detainers fail to comply with the Fourth Amendment, hundreds of local law enforcement agencies across the country adopted policies prohibiting compliance with immigration detainers absent a judicial warrant or judicial determination of probable cause. DHS still does not provide a judicial determination of probable cause either before or after issuing an immigration detainer, in violation of the Fourth Amendment. In addition to legal concerns, the letter also criticizes PEP as contravening the recent recommendation from the President’s Task Force on 21st Century Policing to “decouple” federal immigration enforcement from local policing. DHS responded to the widespread criticism of the Secure Communities program in November with plans to discontinue it; however, ICE’s new PEP forms and informational material, released last Friday, suggest PEP is little more than a re-branding of the same flawed product. At least that’s what I’ve been hearing from heavily involved Dem friends of mine and even Robert Reich. Me, on the other hand, thought CIR was dead when President Obama engaged in a policy of right-wing appeasement by breaking deportation records and supporting a very flawed and weak immigration reform bill which passed the US Senate. Republicans, including Cantor, made it quite clear that the House wouldn’t even consider S.744, and they have made it very clear that anything that looks like a path to citizenship is DOA. Toward the end of the campaign, Cantor reiterated his position. Did we Dems not get this? So, where do we get that Cantor supported immigration reform? According to something PDiddie posted, Republicans aren’t blaming immigration for Cantor’s defeat. Even the xenophobic fake stats group-think-group (CIS) run by Krikorian doesn’t think so. Truth be told, Cantor supported some sort of legal status for young immigrants but not their parents. And he was supportive of a status for foxhole fodder bill for immigrants who enlist in the military to get legal status. So, that, basically, made him pro-CIR? Well, according to the most bigoted in the Republican Party, apparently. At least that’s what the teabagger opponent was saying. I don’t get where CIR would pass if he had won and become Speaker, unless the Dems would have accepted an even weaker, more inhumane version of S.744. I’d hate to think that Dems would be supportive of that because it would seem they would just want to get rid of the issue once and for all, no matter how bad it is for immigrants. Nah–I don’t want to think that. Frankly, I never thought of him as a voice of moderation on the issue–or, any issue. Republicans are just bad, awful people and they are willing to eat their own to double-down on their xenophobia. Cantor just showed weakness and was struck down in the prime of his political career–right-wing-nutty as it was. He won’t help pass immigration reform as a lame duck because he’s probably thinking he can be back in 2016–for something. Most other legislation is probably dead, too, not just CIR. I’d rather laugh at his defeat, than live in some La-La-World that has me thinking he would have been a help on the issue. If anything, he was a hindrance. Of course, there’s the whole thing about he Obama administration locking up children in adult human warehouses. There’s a lot more left to discuss, including executive actions and deportation reform. You know, if anyone wants to actually discuss. Comments Off on Immigration Reform: What’s Next? This is Part III in a multi-part series discussing the United States Senate’s comprehensive immigration reform (CIR) bill (Officially: S.744 Border Security, Economic Opportunity, and Immigration Modernization Act). Part I, introducing the series and discussing the Border Trigger, can be found here. Part II, discussing the E-Verify Trigger, can be found here. Part II highlighted the fact that S.744 would supercharge E-Verify, at the expense of Latinos, African-Americans, anybody drawing social security, and/or anybody with name issues. Here in Part III, S744’s insurmountable income and employment requirements are presented. During the initial 6-year provisional status period, if immigrants can’t show regular employment, the bill requires that they then “demonstrate average income or resources that are not less than 100 percent of the Federal poverty level throughout the period of admission as a registered provisional immigrant or their status will be revoked. Let’s talk about the regular employment part first. The bill allows for periods of unemployment “lasting no more than 60 days.” Let me re-state that. Immigrants cannot be unemployed for more than 60 days during the years (as long as 13 years or longer) that their status is being considered. To put this in perspective, I have an advanced engineering degree from the 2nd ranked university in the world. In a city (Houston) that handled the recession better than almost any other city in the world, I was unemployed for significantly longer than 60 days during a very tough stretch in 2011. I am now doing very well working for a prominent international green/renewable engineering firm. I pay my share of taxes and give to the community whenever I can. I like to think that I am a fairly productive citizen. Were I an immigrant subject to S744, however, I would have been deported. 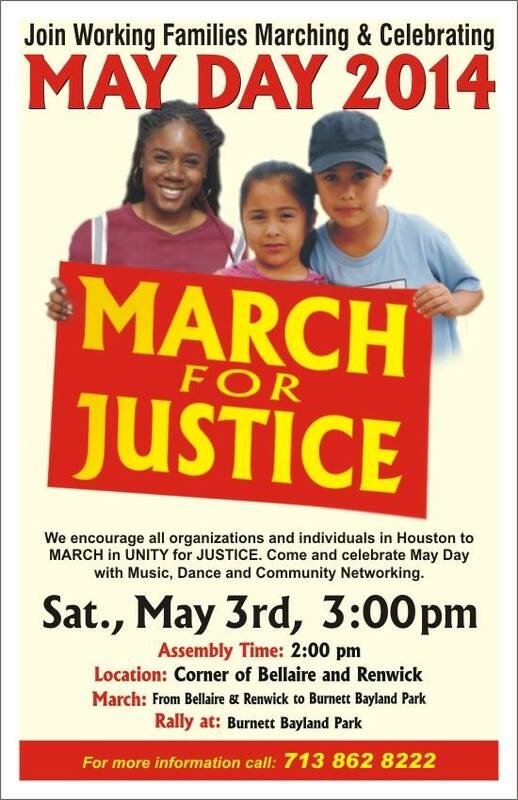 Wage-theft and work-place discrimination are pervasive and prominent issues here in Houston and across the country. For those that are able to stay continuously employed, the regular employment stipulation in S744 will perpetuate (and by perpetuate I mean worsen) these issues here in Houston and across the country. Under the 1986 IRCA, as long as immigrants could show that they were “not likely to become a public charge,” they were eligible for status change, public charge in this case meaning an individual who is likely to become primarily dependent on the government for subsistence . By now I hope it’s becoming obvious that although S744 purportedly creates a path to citizenship, it places so many impassable obstacles in the way of that path that the whole of undocumented immigrants will be significantly worse off than if such a bill were never passed. 3rd Centavo is an opportunity for guest bloggers to sound-off (with a progressive bent) on various issues. This is Part II in a several part series discussing the United States Senate’s comprehensive immigration reform (CIR) bill (Officially: S.744 Border Security, Economic Opportunity, and Immigration Modernization Act). Part I, introducing the series and discussing the Border Trigger, can be found here. Part I highlighted the onerous Border Security and Border Fencing triggers. The triggers, and the bill, are structured such that it is possible that they may never be met and “the entire legalization program may be rendered moot.” Here in Part II, another onerous trigger is discussed. The point of E-Verify is to prevent unauthorized workers from gaining employment by requiring that permission be sought from the federal government when starting a job. It is currently being used in 16 states across the country. S.744 basically turbocharges e-verify, making it federal law, requiring every state and every business, anybody hiring anybody anywhere, to implement it. The negatives of E-Verify have been outlined and discussed for a while now. One of the major issues that I see is that the government is woefully not ready for the program. The US Government Accountability Office estimates that if E-Verify is made mandatory nationwide, 164,000 people would be held up from being hired just because of issues with name changes . Citizenship and Immigration Services reports that in 2012, ~1 out of every 400 cases submitted to E-Verify resulted in false positives . In a nation where there are 154 million workers, that would be 400,000 deprived of the right to work. A US citizen and former captain in the US Navy with 34 years of service and a history of having maintained high security clearance was flagged by E-Verify as not eligible for employment. It took him and his wife, an attorney, two months to resolve the discrepancy. In addition to the false positives, the AARP is extremely concerned about the strain a nationwide E-Verify would put on the Social Security Administration’s ability to delivery services to its beneficiaries. There’s more. History and recent data suggest that E-Verify will lead to widespread discrimination and racial profiling. A 1990 study by the GAO found that when the Immigration Reform and Control Act of 1986 required employers to verify identities, 20% of employers engaged in widespread discrimination against foreign-looking AMERICAN workers . You almost can’t blame them. Businesses may avoid interviewing workers just to avoid dealing with the potential hassle (this is racial profiling). The Huffington Post has a nice short article highlighting the discriminatory issues with E-Verify. For a more in depth study on the negatives with E-Verify, check out the ACLU’s 10 Big Problems with E-Verify. The national mainstream media has been bringing a lot of attention to the United States Senate’s version of a comprehensive immigration reform (CIR) bill (Officially: S.744 Border Security, Economic Opportunity, and Immigration Modernization Act). Here locally, a delegation of 5 congresspersons held a townhall meeting that I’m not sure adequately characterized the content of the bill or Houstonians’ attitude toward the bill. Although it’s refreshing to see CIR being covered in the mainstream media and by our local leaders, there’s a whole lot that’s not being discussed…like what’s actually in the bill. What’s missing from the mainstream coverage is an analytical breakdown of the bill’s content. I say ‘mainstream’ because the analytical breakdown very much exists, it’s just not being discussed and/or being used as a basis for supporting or not supporting the bill. From a moral, humane, or civil rights perspective, it’s an easy case to make that the bill will put everybody, including current US citizens, in a worse position. From a political perspective, I’m not sure that there is reason for Republicans or Democrats to support the bill, or, I don’t see there being a sound analytical reason for either party to support it; not if each is basing their support on true party principles. The following is my take on why the bill is so damaging. I downloaded a .pdf version of the bill that is 1198 pages long. Reading the entire bill is kind of daunting, and the painful badness of the bill is replete, so I’m breaking the piece up into several part in hope that light can be brought onto its darkness. Although many estimates are higher, it seems the general consensus is that there are 11 million undocumented immigrants in the US. When all is said and done, “triggers” associated with the bill could result in as little as 2 million undocumented immigrants and as many as 6 million qualifying to become legal US residents (2 million under DREAM and AgJobs provisions). According to analysis from Peter Schey of the Center for Human Rights and Constitutional Law, of the remaining 9 million, as many as half would be left in limbo–either deported, pushed back into hiding, and most certainly in a worst socioeconomic state than they are in now. Schey later describes a grim scenario, that the triggers are set up in such a way that 20 years from now, it is very plausible that nobody will have benefited from the bill. a comprehensive border security strategy has been submitted to Congress and is substantially deployed and substantially operational. Substantially in this case is 90% effective. Note that the bill does not allow the border security strategy to even be defined by a commission any SOONER than 5 years after the enactment of the bill. a southern border fencing strategy has been submitted to Congress, implemented, and is substantially completed. Substantially in this case is at least 700 miles of fencing, but may be more, at the discretion of Secretary. Again, an issue here is that a commission to recommend a border security strategy can’t even issue recommendations on how to secure the border until 5 years after the bill is enacted. Also, even after the report is issued, it is quite possible that a 90% effectiveness may not be achieved for 10 or 20 years or EVER…and remember, under this bill, no immigrant can achieve legal status until 90% effectiveness is achieved. The ‘‘effectiveness rate’’ is the percentage calculated by dividing the number of apprehensions and turn backs during a fiscal year by the total number of illegal entries during such fiscal year. Analysis done by professors at UC San Diego suggest that the DHS does not currently collect the data to measure effectiveness, nor does it know how in the way that the bill requires. They also suggest that the difficulties involved in meeting the 90% border enforcement may be so formidable that the entire legalization program may be rendered moot. With respect to the fence, no empirical evidence exists, anywhere, that suggests that building a fence slows, let alone stops, immigration rates. Immigrants are leaving a country and family that they love just as much as you and I love our family. If your wife and your children’s survival depends on your getting on the other side of a fence, I imagine that you will find a way to get over that fence. In Part II, I’ll get into the remaining triggers. Congresswoman Sheila Jackson Lee (D) Houston will be bringing together the Texas Democratic delegation for a Congressional immigration hearing next week. The Texas Democratic Delegation will be hosting this hearing on July 29, 2013 at 2:00PM in the City Hall Chambers located at 901 Bagby Street in Houston, Texas. Many events are taking place around the country and the State of Texas must be a leader and a strong voice on this vital issue. Your attendance is welcomed at this special meeting. Please RSVP to confirm your attendance to Ivan Sanchez at Ivan.Sanchez@mail.house.gov or call 713-655-0050. Jackson Lee admits that progress on a comprehensive bill has stalled in the House and that the hearing will help Congress complete its obligation to pass immigration reform. This issue impacts our children, our businesses, our healthcare system, and our everyday lives. The time is now for Congress to come up with a plan that allows undocumented immigrants an opportunity to become taxpaying citizens. A press conference and pro-migrant rally will take place immediately following the hearing outside of City Hall. Obviously, these are friendly faces who support immigration reform. I’m not sure if I will be able to attend, but one question I would ask is about Border Militarization. I have yet to hear a good response from a Democrat as to why it is necessary, or why I should support militarization of my native South Texas. My friend Roberto Lovato at Presente.org gives us all a path to not supporting a border surge. The Rio Grande Guardian reported on the growing opposition to the US Senate immigration bill which includes billions of dollars in “border security” money for the purpose of militarizing the border. These groups know the reality that, if the bill is already seriously flawed, that it can only get worse once the U.S. House gets hold of it. This flawed legislation begins with the mistaken and dangerous premise that puts punishment over people and enforcement over citizenship. S.744 is neither inclusive nor fair. We cannot in good conscience support S.744 without major substantive changes. Our rejection does not condone the defeat of immigration reform. Rather, it represents the decency and dignity of a community drawing the line against more punishment of immigrants. These same values will continue to guide our struggle for humane and just immigration reform in 2013 and beyond. Such a proposal does not, in any way, reflect the kind of humane, inclusive, and common sense values that we envisioned before and since the 2012 elections. We write to ask you to join us in rejecting this legislation in the name of continuing the fight for real immigration reform. You can join the effort by signing on to a petition in support of these groups and in support of real, sensible immigration reform.